Specialized has shown the competition a clean pair of heels in the Sportive bike market for several years with their S-Works Roubaix SL. However, as sportive event popularity has boomed, so too has the amount of focus from other manufacturers on specific bikes for this kind of riding. 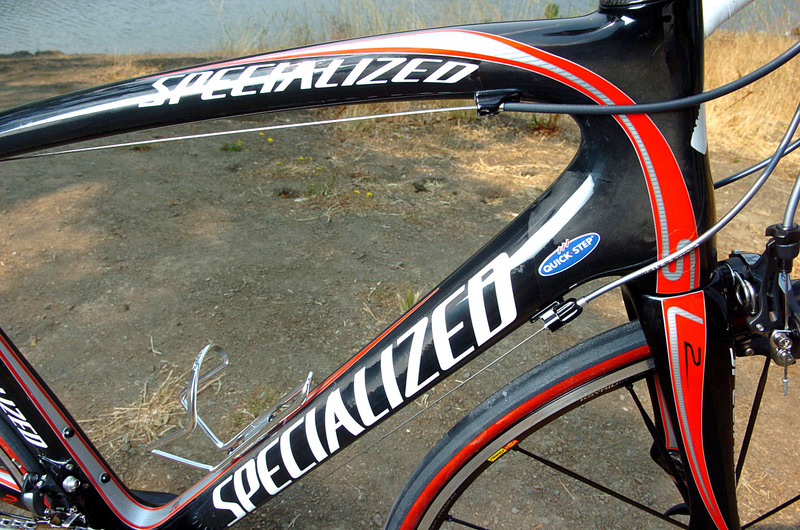 Specialized could no longer sit back on the success of the old design, and needed to better its own benchmark to stay at the head of affairs in this complicated category. 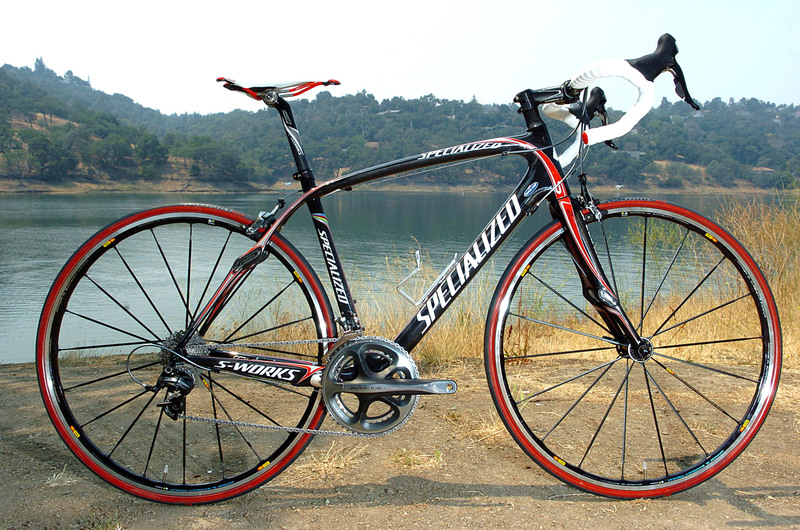 So, for 2009 the S-Works Roubaix SL2 tops the range, a complete revamp on the 08? model. Just as Mario Cipollini has done in the past, pro team rider Tom Boonen plays a key role in the development of Specialized?s S-Works signature models. Barely before the paint was dry, Boonen won Paris-Roubaix aboard a prototype of the Roubaix SL2. What better way to rubber stamp a bike specifically designed for the demands of a race like Paris-Roubaix, than to finish on top of the podium, holding aloft the coveted piece of pavé. By the time the frame was launched to the public, it was the seventh revision – a testament to how much more proficient the designers and engineers have become, as previously they would have gone through almost twice as many revisions before coming to the market. 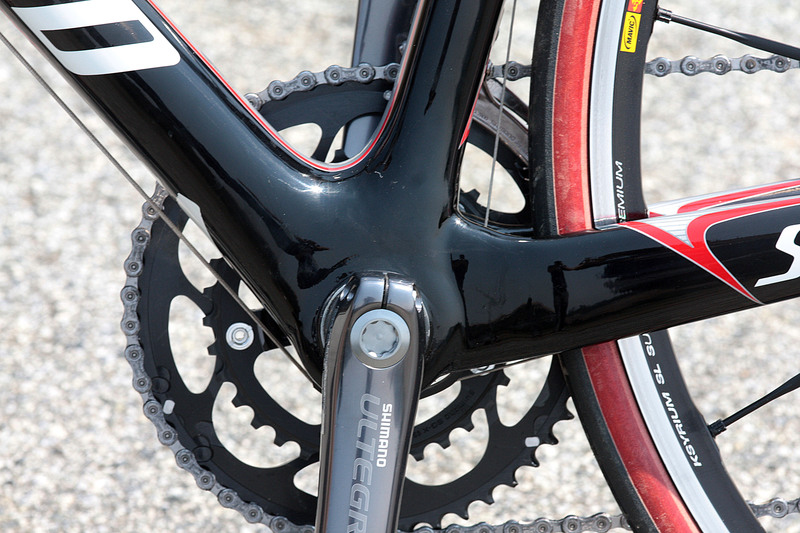 Sharing the SL2 suffix with the Tarmac, the new Roubaix shares some technology too. The Tarmac is one of the stiffest bike modules out there, so the challenge for improving the performance of the Roubaix was going to be holding back some of that super-comfy ride feel that it was previously renowned for. At the same time, the old design had come under some criticism for being a bit flexy, particularly up front. It?s not hard to see where stiffness gains are coming from in the 2009 design. The Roubaix takes on a very similar appearance to the Tarmac SL2, with a wider top tube, huge down tube, supported at both ends by heavily oversized frame junctions. The bottom bracket area is massive, with the integrated bearing and FACT SL carbon crank system, transmitting power through bulked up chainstays. At the front end, the longer head tube is unique to the Roubaix SL2 with a completely new size lower headset bearing on the oversized fork crown. 1 3/8? bearing is a size Specialized has developed to fit into the middle ground between the old standard 1 1/8? (arguably responsible for some of the flex in the old design) and the new larger and super stiff 1.5? as used in the Tarmac. For the designers it meant completely new tooling, but Specialized prefer to take the hard route to achieve their goals, with the engineers prepared to work their socks off if they think it has purpose. The fork benefits in strength from the carbon pathway through the crown area not having any 90 degree corners and in ride quality from a different blade shape and lay-up to de-tune the harshness, along with the now mandatory, Zertz viscoelastic damper inserts. It?s tweaks like this combined with more relaxed geometry, longer chainstays and shallower head angle making for longer wheelbase, which separates the Roubaix SL2 design from the Tarmac out on the road. The frame is constructed in the same way as the Tarmac SL2, using a monocoque front triangle paired with Specialized?s AZ1 frame construction at the rear, where individual tubes are cut, mitred and sequentially moulded. However, because the Roubaix does not need the same level of stiffness as the Tarmac SL2, only the FACT 10r level of carbon is used, as opposed to the stiffest 11r grade. To put that into context, the old Roubaix SL was a 9r composite, and it was only a season or so ago that Specialized were busy heralding the 10r as the ultimate stiff grade for their race frame construction, so it?s still right up there as far as stiffness goes. 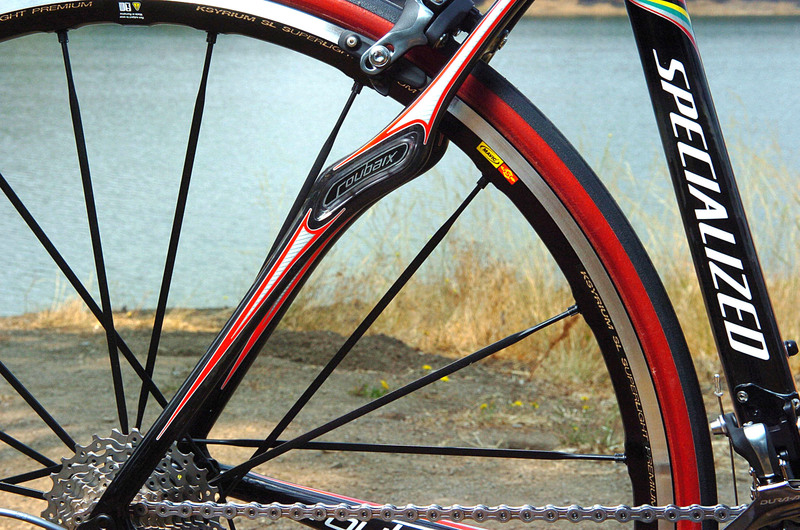 Boonen?s influence in the design was particularly prevalent on the rear triangle. On early iterations, he felt as though the rear did not follow the path of the front during sprint loading, and so a more triangulated seat stay design, was developed to give it the lateral stability he sought. However, the seat stays have also got to deliver a significant amount of vertical compliance to satisfy the needs of the target market, so that posed a big challenge for the engineers. A new carbon lay up, and multiple plane curvature, plus newly positioned Zertz dampers were the answer to yield a more refined ride. Also significant is the curvature of the top tube, which allows it to bow slightly as the seat stays absorb vertical loads, giving the rear end more freedom to move in this direction. It?s one of the features that has stayed from the previous design, and only when you see the bike mounted in the test rig, and heavily loaded, can you really appreciate what a difference this makes to the success of the system. Sticking by the old faithful 27.2mm seatpost, once again fitted with a Zertz damper, also helps absorb the bumps before they reach the saddle. Each frame tube has a specific layup according to the individual frame sizes, so that the ride quality is consistent across the size range, again, something that costs Specialized?s team of engineers a great deal of time and cost but is essential to the rider experience.